Without forgetting our most important clients too, these is for the trekking clients. East Point Safari Bookers have professional, fit Mountain guides to climb Mount Kenya. For Mount Kenya trekking tours and trips we have different routes and the best to offer, these includes Sirimon route out Chogoria, Naromoru out Chogoria. With these routes we them from 5 days to 7 days trekking Mount Kenya. We also do Mount Kilimanjaro climbing , with different routes to reach the peak, these includes Lemosho route, Machame route and Marangu route. Africa Travel is offering lasting adventure filled with fullfilling memories with 4 days safari in romantic Kenya country. We are renowned for having some of the most highly trained professional and knowledgeable safari guides, rangers and trackers in the world. They passionately impart an incomparable wealth of knowledge, personally researched and experienced, about habitats, ecology, birds, trees, plants, animals and insects, providing our guests with memorable wilderness experiences to last a lifetime. Committed to providing world-class experiences for discerning travellers, we are Africa's leading responsible luxury adventure tourism company. We create intimate moments in breathtaking locations to be shared and celebrated with family and friends. Unforgettable memories are made here - a hot air balloon safari over the Masai Mara at dawn, a dive on the colourful coral reefs off Mnemba Island in the warm Indian Ocean, whitewater rafting down the mighty Zambezi River at Matetsi, gazing upon a dense starry sky in the Namib Desert or following the wildebeest migration across the endless plains of the Serengeti. We believe that wildlife conservation and ecotourism are vital for Africa's future and the prosperity of its people. Our passionate belief in the Care of the Land, Care of the Wildlife, Care of the People is evident in everything that we do. We have built up a highly successful track record in empowering and enriching the communities that surround the wildlife reserves where we operate. 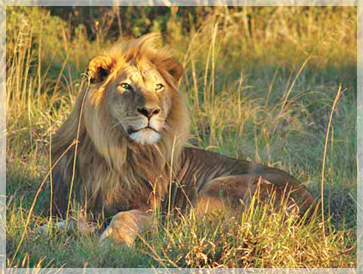 By choosing a luxury safari with us, our guests enable us to make many small but meaningful differences to our planet. A safari trip with East Point Safari Bookers will make your safari dream come true, we are passionate when it comes to wildlife and nature and we do our best to ensure the happiness and safety of our clients while in our care while on safari. Our services starts from pick up from the airport until the last day of drop off to the airport , we will be responsible for you while in Kenya. Our telephone +254721695741 is available 25/7 hours for any assistance and safari bookings, including Mount Kenya trekking booking and Mount Kilimanjaro bookings. You can also drop us an email anytime on info@masaikenyasafaris.com, all our emails are answered in less than a day. East Point Safari Bookers is a leading online portal offering tourists with the amazing opportunities of Kenya camping and budget safaris. Tourists can discover several East Point Safari Bookers as this Safari specialist has designed some interesting and amazing safari itineraries including 3 days Masai Mara camping safari, 4 days Masai Mara – Lake Nakuru Camping, 3 days Amboseli Camping Tours and 6 Days Masai Mara/ Lake Nakuru/ Bogoria and Baringo Tour. Tourists are promised of lifetime safari experience while availing services from East Point Safari Bookers.